A statue in honor of US diplomat William Walker who provided ‘evidence’ leading to NATO’s aggression against Yugoslavia has been unveiled in the village of Racak. — Hashim Thaçi (@HashimThaciRKS) 15 января 2017 г.
Walker, it seems, did his best to provide NATO with a casus belli to bomb Yugoslavia. He presented a report on the tragic incident in Racak, where 45 Albanian civilians were allegedly massacred by Serbian forces on January 15, 1999. Only 40 bodies were recovered by KVM however, and five others had been allegedly taken by family members. All the victims were adult males except from three women and a 12-year-old boy. 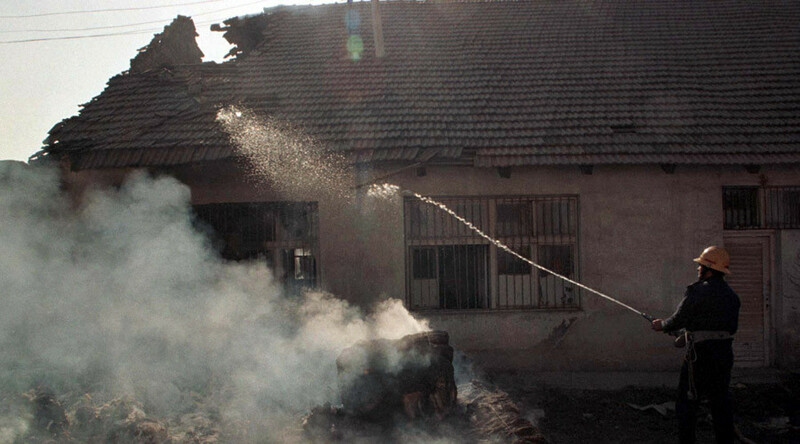 Within just two weeks the UN pinned the blame for Racak incident on Yugoslav security forces. Forensic investigation was carried out on the bodies by three separate teams from Yugoslavia, Belarus and Finland, and showed quite contradictory results. Yugoslavia and Belarus reports on an autopsy performed on January 19 stated that the victims were shot at from different elevations and angles, which is quite unusual for an “execution.” Very few victims were shot at close range, according to their findings. 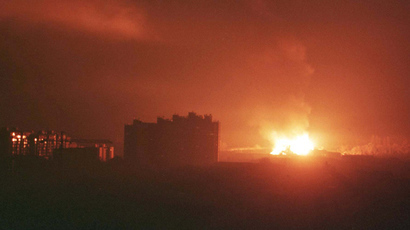 Teams from Yugoslavia and Belarus also found gunpowder residue on the hands of the majority of the victims, which contradicted the idea of them being “innocent civilians,” and proved Yugoslavia’s claims that they were actually fighters of the Albanian separatist organization Kosovo Liberation Army (KLA). However, the paraffin method, used to determine the presence of gunpowder, was not modern and could give false-positive results. The Finnish team performed autopsies after the first two teams on January 21. Their report, however, was kept confidential for some reason, and only the “personal view” of the team leader pathologist Helena Ranta was released. This view claimed that there was no evidence that “the victims had been anything other than unarmed civilians,” since their clothing bore no “military insignia,” and their pockets did not contain ammunition. The “personal view” was released on March 17, which was followed by NATO bombings of Yugoslavia on March 24. While Yugoslavian and Belarusian reports were dismissed as “propaganda,” the Finnish report was presented to the International Criminal Tribunal for the former Yugoslavia (ICTY) in 2000 as “evidence.” The full report has been never published. “We all know what William Walker said. He says to this day that it was a massacre and that the Serbs were to blame. But I never said that. I never made any reference to the perpetrators,” the pathologist said almost a decade ago. “I never said a single word about who stood behind what went on in Račak. That’s for the judges to decide, while we forensic scientists just carry out the investigation,” she told the Serbian daily Večernje Novosti in an exclusive interview. — strahinja (@StrahinjaFlvcko) 30 октября 2016 г. US politicians are often commemorated in Kosovo, after facilitating the break-up of Yugoslavia and Kosovo's unilateral ‘independence’: for example, a statue of former US President Bill Clinton on a 3-meter pedestal was placed on a boulevard in his name in the breakaway region's main city, Pristina, in 2009. Clinton participated in unveiling of this impressive monument personally. Another central street in Kosovo’s capital is named after former President George W. Bush, and he might also see a monument of himself there in the future. From 1988 to 1992, William Walker worked as US ambassador to El Salvador, at the same time as the then-government’s so-called ‘death squads’ ravaged the country – already a decade into a major, bloody civil war. Despite the well-documented atrocities committed by the ‘death squads’ – massacres of civilians, as well as extremely violent executions like mass beheadings – Walker never mentioned them. The El Salvador government was supported by the US at the time, with President George H.W. Bush ordering to provide the country’s army with $42.5 million in military aid.